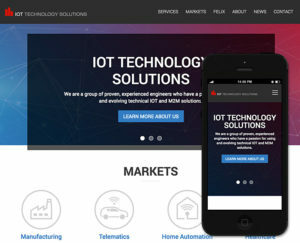 IoT Technology Solutions is a group of proven, experienced engineers who have a passion for using and evolving technical IoT and M2M solutions. In an effort to support this passion, we are happy to announce the launch of our new website. The new site contains cutting edge, mobile responsive design to enhance the user experience across all devices. Along with the updated user interface, the new website brings an expanded amount of content about the Felix IOT Technology Platform as well as IOT’s new state-of-the-art manufacturing intelligence produce knows as FelixKnows.